Discover how Benington Land Rover Centre can help you save on your Range Rover servicing and Land Rover repairs. We are independent, and we have over 34 years of established experience in all types of servicing, vehicle maintenance, 4x4 repairs and conversions. If you have a late vehicle, we can service it under warranty and we can also run dealer specification diagnostics on all types of Land Rover, making us a great alternative to main dealers. If you would like to find out more then give us a call, we will be happy to take a look or provide a quote. At Benington Land Rover Centre we have over 34 years of qualified experience around Stevenage, Hitchin and Hertford in servicing and maintaining the different vehicles in the Land Rover range. 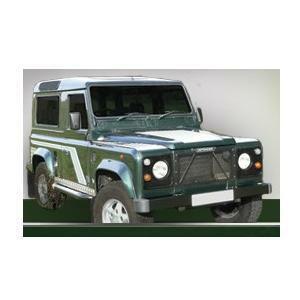 We have an excellent understanding of Land Rovers and Range Rovers and their maintenance and servicing. We have a large and loyal customer base around Stevenage, Hitchin, Hertford and all the surrounding areas, who benefit from our knowledge, experience and competitive pricing. Because we're independent, we are free to offer more attractive prices for our services than our competitors.